Madison 9/11/15 at the High Noon Saloon. Photo: Bob Wake. 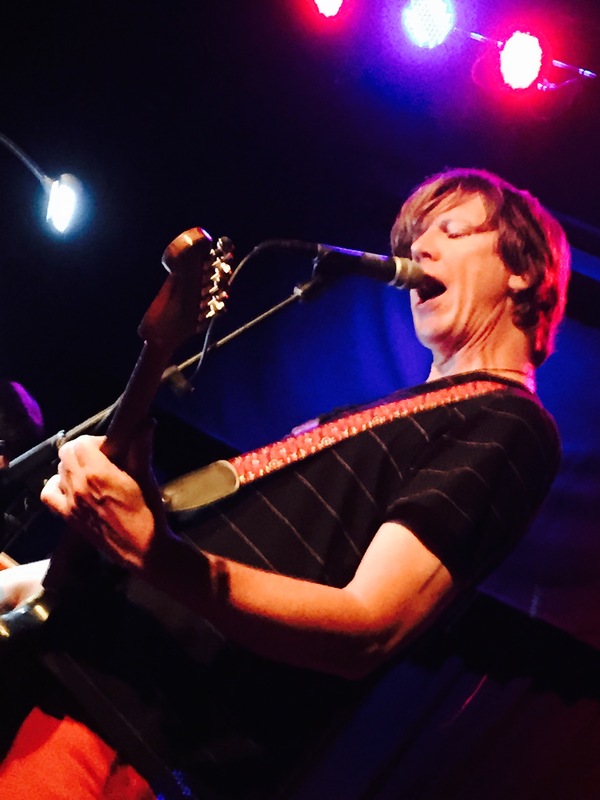 We stood ridiculously close to Thurston Moore at his High Noon Saloon show (his band included former Sonic Youth bandmate and drummer Steve Shelley, My Bloody Valentine bassist Debbie Googe, and guitarist James Sedwards). No Sonic Youth material. Played a large portion of his recent album The Best Day and tunes from an upcoming album titled Rock ’n’ Roll Consciousness. For a 57-year-old punk/noise band innovator from the distant 80s, he nearly convinced me when he declared at one point, “I’ve been waiting forever to grow old” and “old is the new young.” Music ran the gamut from classic-sounding Neil Young rockers to trippy Fripp/Eno guitar instrumentals to blistering noise, sometimes all within the same song.